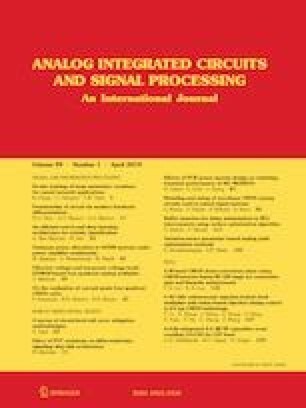 This paper presents a 20 GHz subharmonic injection-locked clock multiplier (SILCM), which adopts a mixer based self-align injection timing control loop to guarantee the optimal injection point. In addition, to further improve the injection time accuracy and reduce the super, a V/I mismatch cancellation are utilized. Furthermore, a frequency-locked loop with a frequency-lock detection and enable control switch is employed to expand the injection-locked range and save power. Fabricated in a 65 nm CMOS technology, the SILCM can lock from 19.2 GHz to 23.2 GHz. It exhibits − 125.5 dBc/Hz phase noise at 1 MHz offset and consumes 8 mW under 1.2 V power supply. The measured root-mean-square jitter integrating from 0.1 kHz to 100 MHz is 106 fs and the reference spur is − 43 dB. This work is supported by National Science Technology Major Project (No. 2016ZX01012101).